Ramakrishna Parmahamsa is perhaps the best known saint of nineteenth century India. He was born in a poor Brahmin family in 1836, in a small town near Calcutta, West Bengal. As a young man, he was artistic and a popular storyteller and actor. His parents were religious, and prone to visions and spiritual dreams. Ramakrishna's father had a vision of the god Gadadhara (Vishnu) while on a religious pilgrimage. In the vision, the god told him that he would be born into the family as a son. Young Ramakrishna was prone to experiences of spiritual reverie and temporary loss of consciousness. His early spiritual experiences included going into a state of rapture while watching the flight of cranes, and loosing consciousness of the outer world while playing the role of the god Shiva in a school play. Ramakrishna had little interest in school or practical things of the world. In 1866, he became a priest at a recently dedicated temple to the Goddess Kali located near Calcutta on the Ganges River. It was built by a pious widow, Rani Rasmani. Ramakrishna became a full-time devotee to the goddess spending increasing amounts of time giving offerings and meditating on her. He meditated in a sacred grove of five trees on the edge of the temple grounds seeking a vision of the goddess Kali. When I jumped up like a madman and seized [a sword], suddenly the blessed Mother revealed herself. The buildings with their different parts, the temple, and everything vanished from my sight, leaving no trace whatsoever, and in their stead I saw a limitless, infinite, effulgent Ocean of Consciousness. As far as the eye could see, the shining billows were madly rushing at me from all sides with a terrific noise, to swallow me up. I was caught in the rush and collapsed, unconscious … within me there was a steady flow of undiluted bliss, altogether new, and I felt the presence of the Divine Mother. Ramakrishna's behavior became more erratic as time passed and began to worry his family and employer. He would take on ritual and mythical roles identifying with figures from the Puranas (medieval Indian holy books describing the adventures of gods). His parents found him a wife hoping his mental instability was a result of his celibacy. About this time, an elderly holy woman named Bhairavi Brahmani appeared and determined that Ramakrishna's madness was "spiritual madness" rather than ordinary madness. He was literally mad for the vision of God. She convened a group of respected religious leaders who examined Ramakrishna's symptoms. They concluded that this was a case of divine madness similar in nature to that of other famous saints such as Caitanya (a fifteenth century Bengali saint). From this point on, people began to treat Ramakrishna with more respect though his unusual behavior in worship and meditation continued. The holy women stayed with Ramakrishna for some time teaching him yogic and tantric meditation techniques. A yogin named Totapuri then became Ramakrishna's mentor. Ramakrishna adopted the role of renunciant and learned a nondualist form of Vedanta philosophy from him. In this system, God is understood to be the formless unmanifest energy that supports the cosmos. Ramakrishna experienced a deep form of trance (nirvikalpa samadhi) under the guidance of this teacher. This state can be described as complete absorption of the soul into the divine ocean of consciousness. Disciples began to appear at this point in Ramakrishna's life. He embarked on a long period of teaching where he gathered a group of disciples around him. This period of his life is well documented by two sets of books written by his disciples. These references are listed below. Ramakrishna explained on different occasions that god is both formed and formless and can appear to the devotee either way. He often asked visitors whether they conceived of god as having qualities or as being beyond qualities. He then proceeded to teach the devotee according to the way he or she viewed the divine. His acceptance of i different approaches to the worship of God and the validity of different religious paths, such as Christianity and Islam, is in the best tradition of the universalist approach to religion common throughout India today. One extraordinary quality of Ramakrishna's message was its universal appeal to a broad cross section of Indian society. In the West, religions like Christianity and Judaism tend to be exclusive, and find the contradictions that arise from a religion that is too broad to be objectionable. If one religious approach is right, the others must be wrong. However, the Indian mind tends to more readily accept someone like Ramakrishna who preaches universality of religion and accepts and even promotes individuality in the seeker's approach to God. This is illustrated by Ramakrishna describing God as a mother who cooks fish differently for her children according to their tastes, temperaments, and their ability to digest different types of foods. For Ramakrishna, God is both the mother of the universe and of individual souls who are her children. In India, a mother is often idealized as one who sacrifices herself for her children and goes to great lengths to satisfy them, and bring them happiness. God, as a Mother, therefore makes different religions and belief systems according to each person's needs and tastes. Of course like other theistic religions that focus on benevolent deities, there is the often the mystery of explaining the origin of suffering and evil in the lives of devotees who are devoted to the Mother and under her protection. The famous Shakta poets like Ramprasad Sen and Kazi Nazrul Islam often questioned how a loving mother could allow her children to suffer in myriad ways in their poetic works. In spite of the complaints and protestations directed at the goddess, these poets generally conclude that the Mother always knows what is best for her children, and will eventually do what is right for them in spite of any appearances to the contrary. In terms of mass appeal to different classes of society, Ramakrishna's message appealed to the upper classes who are likely to follow a Vedantist or philosophical approach to religion by sometimes describing God as a non-dual formless essence. His description of Kali as an ocean of light had much in common with the ocean of Brahman that the Brahmins (the traditional priest caste) seek to encounter when they are initiated into the Gayatri mantra, or the mantra of the sun. One divine ocean of consciousness may be difficult to distinguish from another. 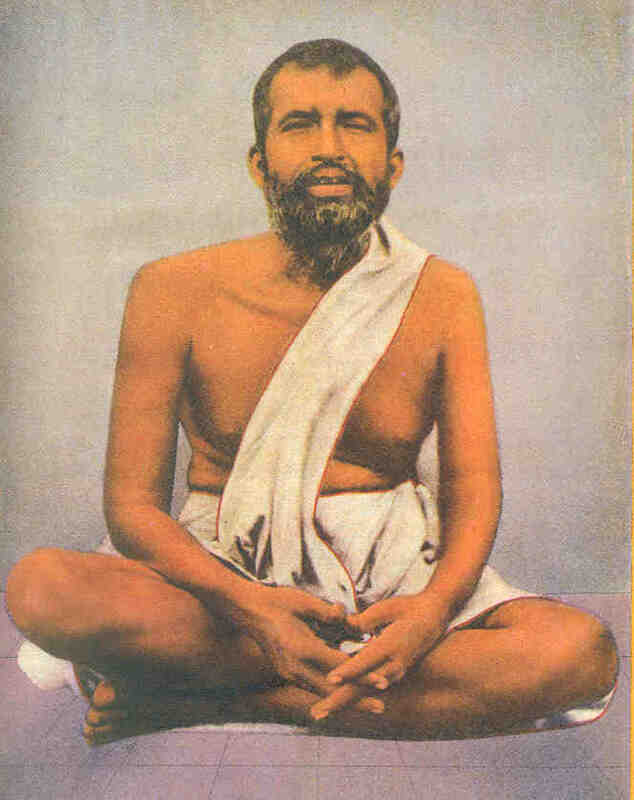 Ramakrishna also appealed to those with an interest in yoga and esoteric practices by practicing a non-dual form of meditation prescribed by Totapuri which seeks samadhi. The most popular religious practice by far in India is bhakti, or devotion to a deity. Ramakrishna's message was welcomed by both the rural and urban religious people who did puja to different deities. 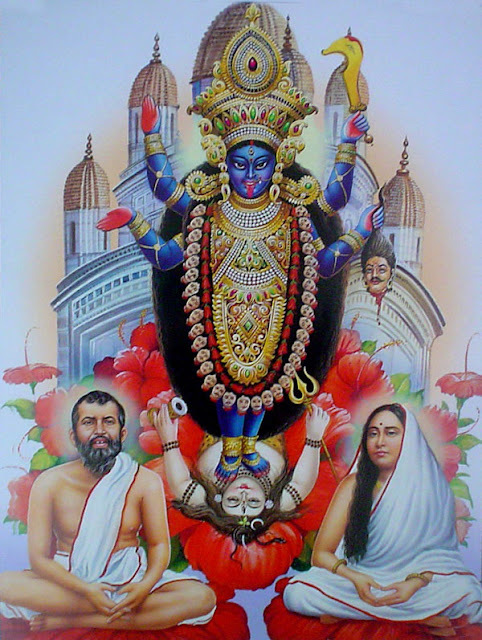 As an example, Ramakrishna worshiped the divine mother Kali as a protective and benevolent deity (Kali also has a fierce and destructive side which she generally does not show to those who worship her). These devotees saw him as a great teacher and bhakta who sang the names of God and talked incessantly about God. They too did puja and sang the names of their chosen deities in hopes of having healthy children, getting good jobs or marriages, producing a plentiful harvest, or entering into the deity's paradise after death. Ramakrishna believed the sincere devotee could even hope for a vision or dream of the divine mother or other deity. Though Ramakrishna was devoted to Kali, he showed respect and gave guidance to many visitors who worshiped other gods and spoke highly of the past Indian saints who were devoted to other deities. 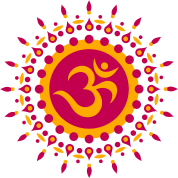 Those who followed the Vedic prescription of religious universalism summed up in the phrase "There is but one Truth, but sages call it by different names" noted that Ramakrishna practiced the rituals of many religions, and found that they all brought him to the same divine reality in the end. For those who worshiped many different saints and deities throughout India, this universal approach echoed their own multi-faceted religious practices. Finally, for those with a strong sense of Hindu nationalism, Ramakrishna's chief disciple, Swami Vivekananda, entered onto the world stage by doing a keynote address at the World Parliament of Religions meeting in Chicago in 1893, and he electrified his audience. Hindus for generations could point to their indigenous traditions with pride after his exemplary speech. Vivekananda also promoted a more activist form of Hinduism, which focused on education, feeding the poor, and developing libraries and other institutions. His works were a way of showing Hindus that it was not only the Christian missionaries that could benefit society, but that Hindu religion was also valuable with respect to improving society and combating social ills. Ramakrishna died of cancer of the throat in 1886, leaving his wife Sarada Devi who was considered a saint in her own right to take charge of his disciples and carry on his message. An unusual development in modern attempts to understand Ramakrishna’s life has been the recent application of psychoanalytic theory to his experience. While a large majority of psychologists consider psychoanalytic theory to be discredited, historians of religion have resuscitated this moribund methodology in an attempt to explain the existence of Ramakrishna’s mystical experience. Though numerous psychologists and writers have been doing this kind of psychological reductionism over the years, it has recently been done with a major focus on sexual abuse. One author has claimed that Ramakrishna's mystical states (and through generalization all mystical states) are a pathological response to alleged childhood sexual trauma. There are, however, some serious problems with the attempt to apply this form of psychological reductionism to Ramakrishna. First, the most recent proponent and popularizer of this theory is not a psychologist and has no formal training in psychoanalytic (or any clinical) theory. Second, he is doing his analysis based on a set of biographical texts rather than direct contact with an individual patient in a clinical environment. Psychoanalysis is a highly interactive process, and analysis of textual data cannot begin to approximate the complex and detailed information provided by the one-on-one relationship that develops between patient and analyst. Applying the psychoanalytic method to one or more texts about a person is therefore likely to result in a failure to understand the patient. Third, the author is working in a thoroughly non-western culture where is it highly questionable whether Western psychoanalytic theory even applies. Fourth, the author has been shown to have difficulty understanding the nuances of the Bengali culture in general as well as the Bengali language in which Ramakrishna's biographical texts are written. 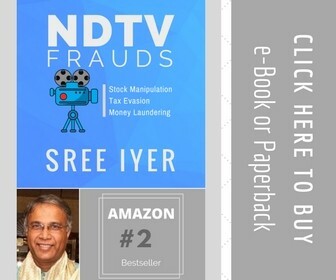 He spent a mere eight months in West Bengal most of it apparently in libraries and on this basis makes grandiose claims about understanding both the mind and cultural environment of the renowned saint. Also the Bengali language is rich with meaning and many words and idioms have literally dozens of definitions and interpretations. So a scholar doing translation can easily intentionally distort meanings by looking at a long list of possible definitions and choose the most lurid and sexually-oriented interpretation. But even if we assume good faith on the part of scholars, this limited exposure to the language makes them subject to serious errors in translation and to misinterpretation of both historical and textual data. These would be serious problems even if psychoanalysis was supported by a great deal of experimental data and was a widely accepted and respected theory in psychology. Combining them with the fact that psychoanalytic theory is disrespected and ignored by most of today’s psychologists seems to call the whole reductionist enterprise into question. This work is a recent addition to a long series of psycho-biographies in which the biographer sees every virtue in their subject as a secret vice or weakness. Thus the great people of history become either traumatized victims, or master manipulators and con men. The fact that some respected historians of religion have eagerly embraced this antiquated Freudian methodology in an attempt to understand Ramakrishna and mystical phenomena in general is an indication that the field may be in trouble. Historians of religion and those in the field of religious studies who grant awards to books based on cultural and psychoanalytic illiteracy seem to be at a loss to find a better methodology by which to understand saints and their religious experience.